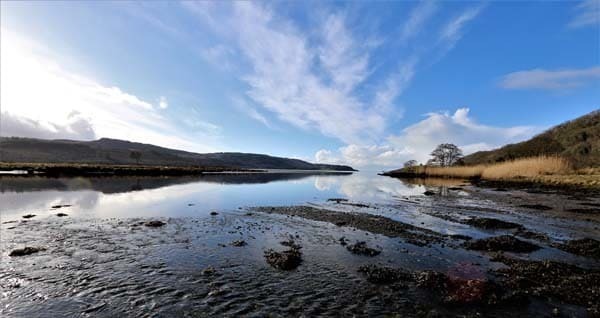 Ellary is set in the heart of Argyll, and is perfect for exploring the area. The estate itself provides endless opportunities for walks, photography, watching the wildlife, fishing, scouring the rockpools and playing on the beach. Set away from the main road, the only noise you're likely to hear is the birds, so relaxing with a good book is perfect. 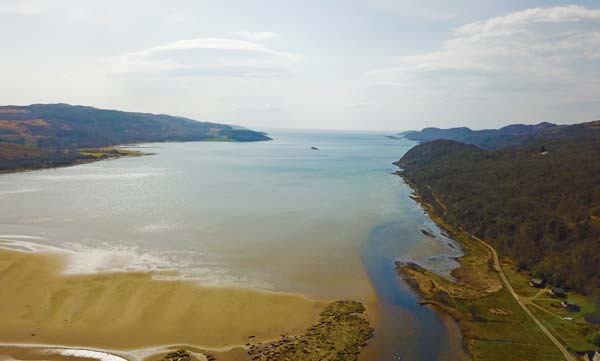 A large part of the peninsular on the Loch Caolisport side is part of an SSSI - a site of special scientific interest - and the whole estate has been designated a National Scenic Area. Enjoy the open views from Ellary and wonder at the ever changing vista depending on light and weather. The unspoilt countryside of Ellary and Castle Sween makes it an ideal place to observe wildlife. There are large areas of oak woods and also woods mainly with birch and alder. These areas are home to many of Scotland's native species, and it is not uncommon to see foxes, badgers, otters, roes, sikas and red squirrels. Take a walk along the shore and observe otters and seals and look out for the schools of porpoises and basking sharks. Wild flowers are abundant and there is an extremely rich birdlife with seabirds, raptors, many migratory species along with the usual native birds which inhabit the area. It is a paradise for anglers who can obtain permits to fish the Lochead Burn (salmon and sea trout) as well as other burns on the estates and a great many trout lochs; for cyclists and mountain bikers who can explore most of the estates on the private estate roads and tracks; for photographers and golfers. The estate is just over 2 hours from Glasgow, with central Scotland beyond. Just over an hour will get you to Oban, the seafood capital of Scotland, and home to the various ferries to Mull and the Inner and Outer Hebrides. 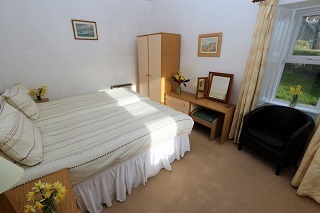 Inverary is just under an hour north, and houses various attractions, ideal for rainy days. About half an hour will get you to Tarbert, a quaint fishing village, and ferries to Arran, Islay, Jura and Gigha. Wifi is free & unlimited. The Lodge is the former gatekeeper's cottage for the estate. 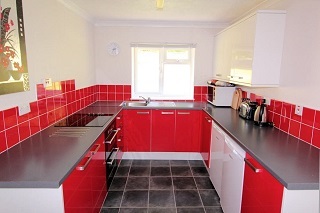 It has been added to and extended over the years to provide the comfortable accommodation that you see today. 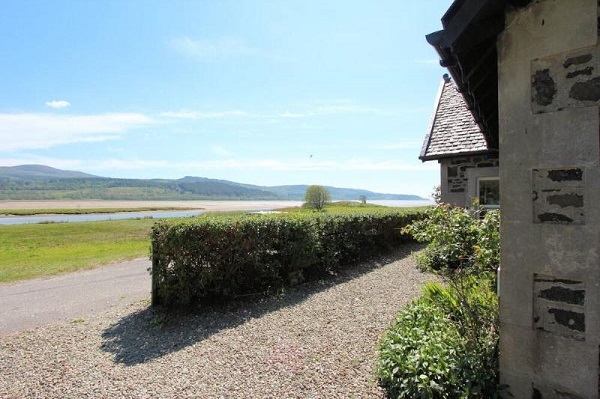 Set in its own enclosed private garden with parking, it overlooks the head of Loch Caolisport. Outside you will find a large grass area (ideal for dogs and children) and a substantial deck down one side of the building which has proved popular during the summer months. Heading inside, the ground floor has a modern kitchen (with fridge and freezer), a separate dining room, a utility room with sink and washing machine, a family bathroom (shower over bath), a comfortable living room with an open fire and views out to the loch and a bright twin bedroom. 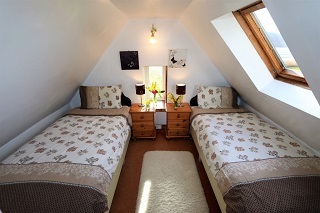 Going up the spiral staircase, you will find a double bedroom with views out over the garden and woodland behind, and an ensuite WC, plus a twin bedroom with loch views. Leave Lochgilphead on the A83 in the direction of Campbeltown, turn right two miles after Ardrishaig onto the B8024 signposted Kilberry, turn right, about five miles later onto the unclassified road signposted to Ellary. For sat nav users, the Ellary postcode is PA31 8PA. About a mile past Lochead Farm which is on your right is The Lodge. Electricity is metered and charged at cost. Guests are welcome to use any fallen wood they find around the estate (saws provided). Coal available at cost from the estate office. Bed linen is not provided. Fishing permits available for the lochs/burn. Change over day is Saturday - arrive after 3pm, depart no later than 10am. 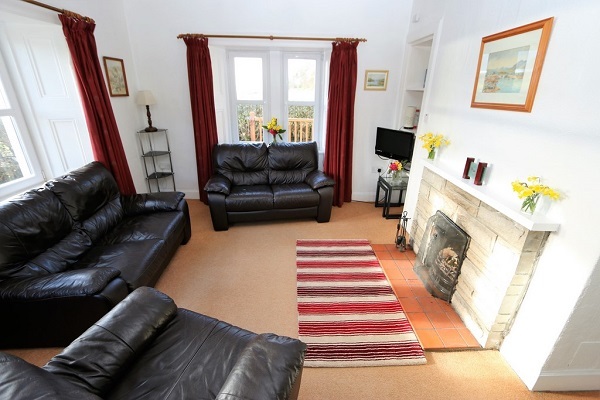 Weekend/short breaks - out of season or at short notice. 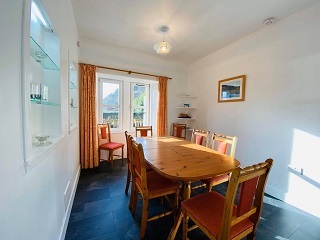 To book this delightful Argyll holiday cottage for 6 with splendid views over Loch Caolisport, please press the button to see availability and prices. 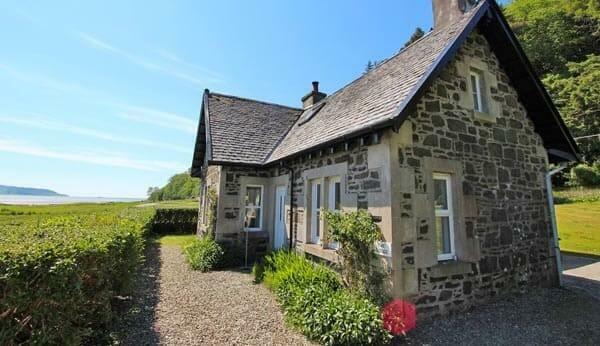 This delightful Scottish country cottage is set on a lovely Argyll estate and has splendid views over the sea. This is a very unspoilt part of Scotland and you can relax and get away from it all here. For a more active holiday there is great walking, cycling, fishing, golf, bird and wildlife watching and great beaches too.